At our day care school in Statesville, NC, our ultimate goal is to foster the individual growth and success of every child. If you are like many parents, sending your child off to day care school can be an emotional experience. Not only do you want to make sure that your child is safe, but you also want to ensure that they are happy and learning principles you would teach them in your own home. If you enroll your child in our day care school at Cornerstone Christian Academy, we will make sure your child is well taken care of and that they thoroughly enjoy spending time at our Christ-centered school. Founded in 1995, we have become a staple in the Statesville, North Carolina educational community and prepare all of our students for higher education with our individualized, Christian-based curriculum. We believe that it is never too early to begin preparing a child for what life has in store and will develop your child’s character and knowledge while they attend our day care school. Although we are highly focused on education, we also realize that young children need plenty of time to play. Recently, we replaced our playground with new equipment, so our play area now encompasses 8,000 square feet. We also added a separate playground for our students ranging in age from two to three years old. 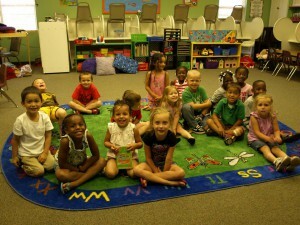 At Cornerstone Christian Academy, our ultimate goal is to foster the individual growth and success of every child. For more information about our day care school, our educational philosophy, or what we can do for your child, give us a call today. CCA holds international accreditation with the Association of Teachers and Schools.